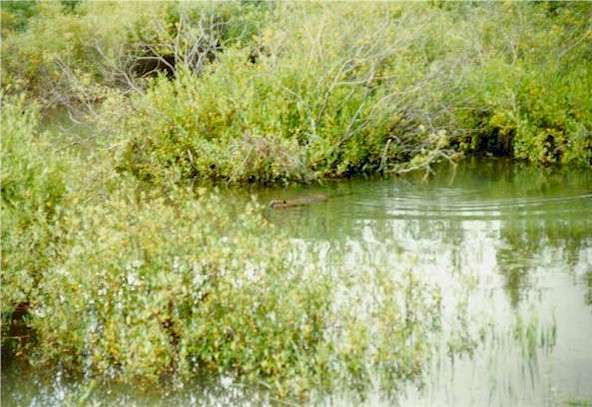 The first picture is a Beaver seen swimming in it's dam on the headwaters of the Arkansas River beside the track. I suspect that the Union Pacific removed that beaver's home, because it was threatening to wash the railroad away. 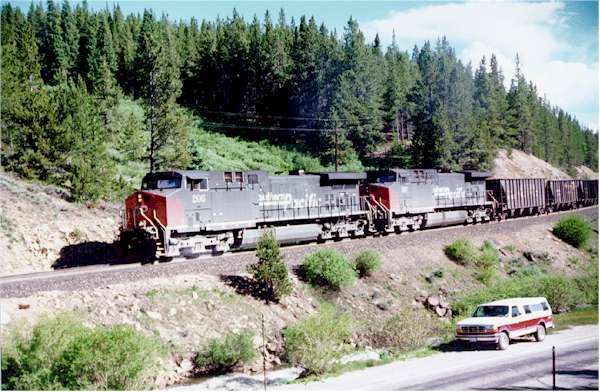 Here SP206 hauls a loaded Taconite train near the Arkansas Headwaters.